TEKARIHOGEN (Decarrihoga, Dekarihokenh, Karrahogle, Tekarihogea, Tokarihogea, Tyhorihoga, Henry, Hendrick; in a modern Mohawk orthography, Tekarihó:ken), Mohawk chief; b. c. 1750 in the Mohawk valley, N.Y., a member of the turtle clan and probably the son or grandson of Sarah, who appears to have been the clan matron, and her husband, Karaghtadie*; m. Catharine, a Mohawk of the wolf clan; d. mid August 1830 at the Grand River, Upper Canada. Through his mother, Henry belonged to the family in which the title Tekarihogen was hereditary, and the name was bestowed on him as a young man. In the council of the Six Nations Confederacy the chief who bore it served as the titular head of the Mohawks, the first in rank of that tribe’s nine sachems. Since the Mohawks headed the roll listing the council’s 49 or 50 chiefs, his name took precedence over all others. The position was thus one of great influence and dignity. During the American revolution Henry Tekarihogen, as he was often known, fought in alliance with the British. His grandson even claimed that the Mohawks’ decision to support them was the result of his grandfather’s leadership. The fact that he participated in the war suggests that he became Tekarihogen after its conclusion, for customarily sachems could not go out on the warpath and still retain their titles as civil chiefs. After the American victory, the British made lands available for the loyal Iroquois in what was to become Upper Canada [see Thayendanegea* (Joseph Brant)]. 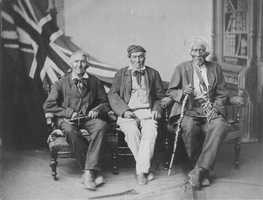 On the large Six Nations reserve along the Grand River, Tekarihogen exercised considerable power, not only among the Mohawks but also among other members of the Confederacy who had settled there. In a letter of 28 Nov. 1808 Alexander McDonell* (Collachie), who was in the process of buying a portion of the Grand River lands on behalf of Lord Selkirk [Douglas*], remarked on his role. “Even during Brant’s life time,” he wrote, “Tyhorihoga was acknowledged the first Chief & Sachem, tho’ the former from his education & knowledge of European manners, had the management of all their land concerns.” In accounts of the Six Nations on the Grand River, historians, guided (or misguided) by the availability of the written word, have possibly exaggerated the power and influence of Joseph Brant, a mere war chief whose letters survive in relative abundance, and have ignored Tekarihogen who, although he could speak a little English, could not write it. Much of Brant’s influence on the reserve undoubtedly came from his close ties with Tekarihogen. About 1779 he had married Catharine [Ohtowaˀkéhson*], whom Tekarihogen called sister although she may have been just a close relative. 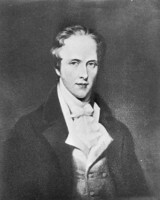 Then, in 1798, Brant’s friend Augustus Jones*, a white surveyor, married Tekarihogen’s daughter Sarah. Together Tekarihogen and Brant, with Jones a trusted adviser, came to symbolize the “progressive” faction, as it would have been called in the later 19th century. Staunch Christians, and thus determined opponents of the Longhouse religion, they sought accommodation with the dominant society around them. They welcomed white farmers to their midst and leased or sold extensive portions of the large reserve to them. They justified this action by arguing that the monies obtained served as a trust fund with which Iroquois farmers could purchase seed and new equipment, and that the whites benefited the native community by introducing new farming techniques. The “traditionalists,” again to use the later terminology, fought Tekarihogen and Brant over the land question, particularly the large grants totalling nearly ten square miles that were made to Jones. On 1 July 1811 a Mohawk spokesman announced that Tekarihogen had been dismissed from office. “In old times,” he said, “when any Chief did wrong we took their horns off, my nephew Tekarihoga has done very wrong. Our Tribe (the Turtle) met & from his conduct have considered him not a proper person to be at our Treaty we communicated this to our Nation, the Mohawk, and then to the six Nations who agreed with us, . . . we have taken his horns from his head and he is only to take care of the Church.” Tekarihogen did not accept his dismissal, nor, apparently, did a substantial portion of his people. His name heads the list of 230 Six Nations warriors fighting for the British at Beaver Dams (Thorold) on 24 June 1813 and appears at the top of petitions prepared by the Six Nations chiefs on 22 Feb. 1815 and 6 Sept. 1823. His continuance in office underlines the fierce factionalism existing on the reserve between progressives and traditionalists. After the War of 1812 Tekarihogen lost much of his sight, “not from old age,” according to his granddaughter, but from “sickness settling in his eyes.” At his death he was totally blind. In his later years he became greatly concerned with religion. 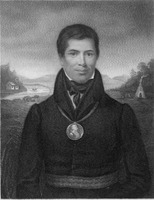 John “Smoke” Johnson* recalled how Tekarihogen “used to read the Church service at the Indian chapel, and was a religious & good man.” The right to appoint a successor after his death in 1830 (or shortly before, when complete blindness fell on him) belonged to Catharine Brant, who inherited it through her mother. With the consent of her maternal family she chose her son John [Tekarihogen]. George Henry Martin Johnson*, the son of John “Smoke” Johnson, once translated Tekarihogen as “two statements together.” This, Henry Tekarihogen – sachem and Christian – truly was. 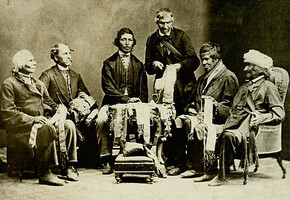 The descendants of his daughter Sarah and her husband Augustus Jones are today divided between those who remain on the Six Nations tribal roll and those who, several generations later, have chosen the other “statement,” becoming members of the larger, non-Indian society. PAC, RG 10, B3, 1974, file 5620/1. UCC, Central Arch. (Toronto), William Case, journal, 1806–9 (transcript at AO). Wis., State Hist. Soc. (Madison), Draper mss, ser.F. The Iroquois Book of Rites, ed. H [E.] Hale, intro. W N. Fenton (Toronto, 1963). Valley of Six Nations (Johnston), 56, 67–68, 174, 176–77, 197, 203, 219, 281–82, 284, 296. Handbook of North American Indians (Sturtevant et al. ), vol.15. Barbara Graymont, The Iroquois in the American revolution (Syracuse, N.Y., 1972). 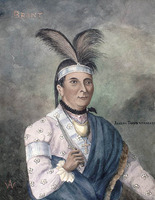 Isabel Thompson Kelsay, Joseph Brant, 1743–1807: man of two worlds (Syracuse, 1984). 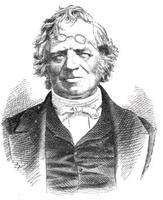 Donald B. Smith, “TEKARIHOGEN, (d. 1830),” in Dictionary of Canadian Biography, vol. 6, University of Toronto/Université Laval, 2003–, accessed April 24, 2019, http://www.biographi.ca/en/bio/tekarihogen_1830_6E.html.